Shivaji Rao Gaekwad (born 12 December 1950), known by his mononymous stage name Rajinikanth, is an Indian film actor and politician who works primarily in Tamil cinema. He began acting in plays while working in the Bangalore Transport Service as a bus conductor. In 1973, he joined the Madras Film Institute to pursue a diploma in acting. Following his debut in K. Balachander's Tamil drama Apoorva Raagangal (1975), his acting career commenced with a brief phase of portraying antagonistic characters in Tamil films. After earning ₹26 crore (equivalent to ₹56 crore or US$7.8 million in 2017) for his role in Sivaji (2007), he was the highest-paid actor in Asia after Jackie Chan at the time. While working in other regional film industries of India, Rajinikanth has also appeared in the cinemas of other nations, including the American film Bloodstone (1988). As of 2018, Rajinikanth has won six Tamil Nadu State Film Awards—four Best Actor Awards and two Special Awards for Best Actor—and a Filmfare Best Tamil Actor Award. In addition to acting, he has also worked as a producer and screenwriter. Apart from his film career, he is also a philanthropist, spiritualist, and serves as an influence in Dravidian politics. The Government of India has honoured him with the Padma Bhushan in 2000 and the Padma Vibhushan in 2016 for his contributions to the arts. At the 45th International Film Festival of India (2014), he was conferred with the "Centenary Award for Indian Film Personality of the Year". Rajinikanth was born on 12 December 1950, in a Maratha family in Bangalore, Mysore State (present day Karnataka). His mother was a housewife,[lower-alpha 1] and his father Ramoji Rao Gaekwad, a police constable, He was named Shivaji Rao Gaekwad after Chhatrapati Shivaji, a Maratha warrior King, and was brought up speaking Marathi at home and Kannada outside. Rajinikanth's ancestors hailed from Mavadi Kadepathar, taluka Purandar, district Pune, Maharashtra and Nachikuppam, Krishnagiri district, Tamil Nadu. He is the youngest of four siblings in a family consisting of two elder brothers (Satyanarayana Rao and Nageshwara Rao) and a sister (Aswath Balubhai). After his father's retirement from work in 1956, the family moved to the suburb of Hanumantha nagar in Bangalore and built a house there. When he was nine years old, he lost his mother. At the age of six, Rajinikanth was enrolled at the "Gavipuram Government Kannada Model Primary School" where he had his primary education. As a child, he was studious and "mischievous" with a great interest in cricket, football and basketball. It was during this time that his brother enrolled him at the Ramakrishna Math, a Hindu monastery (math) set up by Ramakrishna Mission. In the math, he was taught Vedas, tradition and history, which eventually instilled a sense of spirituality in him. In addition to spiritual lessons, he also began acting in plays at the math. His aspiration towards theatre grew at the math and was once given an opportunity to enact the role of Ekalavya's friend from the Hindu epic Mahabharata. His performance in the play received praise from the audience and Kannada poet D. R. Bendre in particular. After sixth grade, Rajinikanth was enrolled at the Acharya Pathasala Public School and studied there till completion of his pre-university course. During his schooling at the Acharya Pathasala, he spent a lot of time acting in plays. In one such occasion, he performed the villainous role of Duryodhana in the play Kurukshetra (Anand iya Vaalka). Upon completion of his school education, Rajinikanth continued to perform various jobs in the cities of Bangalore and Madras, including that of a coolie and carpenter, and finally ended up being recruited in the Bangalore Transport Service (BTS) as a bus conductor. He began to take part in stage plays after Kannada playwright Topi Muniappa offered him a chance to act in one of his mythological plays. During the time, he came across an advertisement issued by the newly formed Madras Film Institute which offered acting courses. Though his family was not fully supportive of his decision to join the institute, his friend and co-worker Raj Bahadur motivated him to join the institute and financially supported him during this phase. During his stay at the institute, he was performing in a stage play and got noticed by Tamil film director K. Balachander. The director advised him to learn to speak Tamil, a recommendation that Rajinikanth quickly followed. "Rajinikanth claims that I am his school. But I must admit that this wasn't the Rajinikanth I introduced. He has evolved on his own merits and strengths. I gave him an opportunity and unveiled him to the world. He went and conquered it." Rajinikanth began his film career through the Tamil film Apoorva Raagangal (1975). Balachander gave Rajinikanth a relatively small role as the abusive husband of Srividya. The film was controversial upon release, as it explored relationships between people with wide age differences. It received wide critical acclaim as it went on to win three National Film Awards including the award for the Best Tamil Feature at the following year ceremony. A review from The Hindu noted that: "Newcomer Rajinikanth is dignified and impressive". He followed that with Katha Sangama (January 1975), an experimental film made by Puttanna Kanagal in the new wave style. The film was a portmanteau of three short stories which had Rajinikanth playing a small character in the last segment where he appears as a village ruffian who rapes a blind woman in the absence of her husband. His next release was Anthuleni Katha, a Telugu film directed by Balachander. In a remake of his own Tamil film Aval Oru Thodar Kathai (1974), Balachander had Rajinikanth playing a pivotal role for the first time in his career. In subsequent films, he continued to perform a series of negative roles mostly as a womaniser. In Moondru Mudichu — the first film to feature him in a prominent role — he plays a character that "blithely row[s] away" when his friend drowns accidentally in the lake only to fulfill his desire to marry the former's girlfriend. His style of flipping the cigarette made him popular among the audience. His final release of 1976, Baalu Jenu, yet again saw him performing a role which troubles the female lead. He followed that with similar roles in Avargal, and 16 Vayadhinile. In 1977, he accepted his first-ever lead role in the Telugu film Chilakamma Cheppindi. Though Rajinikanth always refers to K. Balachander as his mentor, it was S. P. Muthuraman who revamped his image. Muthuraman first experimented with him in a positive role in Bhuvana Oru Kelvikkuri (1977), as a failed lover in the first half of the film and a protagonist in the second half. The success of the film brought the duo together for 24 more films till the 1990s. The year saw Rajinikanth playing supporting roles in the majority of the films, with few of them being "villainous". In Gayathri, he was cast as a pornographer who secretly films his relationship with his wife without her knowledge, while in Galate Samsara, he played the role of a married man who develops an affair with a cabaret dancer. All in all, he had 15 of his films released during the year, much higher than the previous years. In 1978, Rajinikanth went on to star in 20 different films in Tamil, Telugu, and Kannada. His first film of the year was P. Madhavan's Shankar Salim Simon. Following that he was seen in the Kannada film Kiladi Kittu, co-starring Vishnuvardhan, who was then a leading actor in Kannada. His next release, Annadammula Savaal, saw him playing the second lead with Krishna. Rajinikanth reprised his role in the Kannada original. He then played an important role in Aayiram Jenmangal, which was touted as a supernatural thriller. Next, he played a prime antagonist in Maathu Tappada Maga, his 25th release. Bairavi, directed by M.Bhaskar and released in the same year, was the first Tamil film to cast Rajinikanth as a main hero. It was for this film that he earned the sobriquet "Superstar". S. Thanu, one of the film's distributors, set up a cut-out of Rajinikanth over 35 feet (11 m) high. His next appearance Ilamai Oonjal Aadukirathu, a quadrangular love story written by C. V. Sridhar, saw him in the role of a man who sacrifices his love for his friend, played by Kamal Haasan. The film's success prompted Sridhar to remake the film in Telugu, directing Vayasu Pilichindi, which retained the original cast of the Tamil film. His next film, Vanakkatukuriya Kathaliye, has an introductory song to mark his entry, a trend that would soon catch on in with his later films. Mullum Malarum, released during the same period, received critical acclaim. The film marked the directional debut of J. Mahendran, with a screenplay adapted from a novel of the same name published in Kalki. It eventually won the Filmfare Award for Best Tamil Film and a special prize for Rajinikanth as Best Actor at the Tamil Nadu State Film Awards. Following this, he made a foray into Malayalam cinema through the fantasy film Allauddinum Albhutha Vilakkum, based on a story from the Arabian Nights. The same year, he acted in Dharma Yuddam, in which he played a mentally ill person taking revenge for his parents' deaths. He then co-starred with N. T. Rama Rao in Tiger. With the completion of Tiger, Rajinikanth had acted in 50 films over a period of four years, and in four languages. Some other popular films released during this period are the youthful entertainer Ninaithale Inikkum, the Tamil–Kannada bilingual Priya, the Telugu film Amma Evarikkaina Amma and the melodrama Aarilirunthu Arubathu Varai. Priya, based on a detective novel by Sujatha Rangarajan, had the distinction of being the first film of Rajinikanth to be shot mostly outside India, mainly in Southeast Asia. Raijinikanth, who credited Hindi film star Amitabh Bachchan as his inspiration, began playing Amitabh Bachchan's roles in Tamil remakes of his films. This began with Shankar Salim Simon (1978), a remake of Amar Akbar Anthony (1977), followed by Naan Vazhavaippen (1979), a remake of Majboor (1974). He was subsequently cast in a series of roles modelled after Amitabh Bachchan in Tamil remakes of his films. Rajinikanth starred in eleven Tamil remakes of Amitabh Bachchan films, as well as a Telugu remake of Amar Akbar Anthony, Ram Robert Rahim (1980), alongside Sridevi. The most successful of these were remakes of Salim-Javed films, such as Billa (1980), Thee (1981) and Mr. Bharath (1986). During this phase of his career, Rajinikanth abruptly chose to quit acting, but was coaxed to return with the Tamil film Billa (1980), a remake of the Bollywood blockbuster Don (1978), written by Salim-Javed and starring Amitabh Bachchan. Billa had Rajinikanth playing dual roles and eventually became his first ever commercial success. His pairing with Sridevi continued in Johnny, where he was once again cast in a double role. He also starred in Murattu Kaalai which was a commercial success. The success of Billa was a turning point in Rajinikanth's career, disproving detractors that claimed Rajnikanth was "finished" and which saw him accepted as a full-fledged hero. The success of Billa established Rajinikanth as the top star of South Indian cinema, overtaking Kamal Haasan. In 1981, he appeared in Garjanai which was shot simultaneously in Kannada and Malayalam, making it his last film in those two languages to date.[when?] In K. Balachander's first home production, Netrikan, he played dual roles as a womanising father and a responsible son. His first full-length comedy was Thillu Mullu, directed by K. Balachander. He agreed to it solely due to the strong suggestion by his mentor that he should do non-commercial roles, to break the stereotyped action-hero mould by which he was getting famous at the time. 1981 also saw the release of Thee, a remake of the 1975 Bollywood blockbuster Deewaar, also originally written by Salim-Javed and starring Amitabh Bachchan; in Thee, Rajinikanth reprised the role of Bachchan in the original. In 1982, he starred in Pokkiri Raja, Moondru Mugam, Thanikattu Raja, Puthukavithai and Enkeyo Ketta Kural. Moondru Mugam had Rajinikanth playing three roles for the first time. By 1983, he was a popular actor across South Indian cinema, including Telugu and Kannada films. In 1983, he starred in his first Bollywood film, Andha Kanoon, alongside Amitabh Bachchan and Hema Malini. The film went on to become one of the highest-grossing films of that time. His 1984 film Naan Mahaan Alla, was directed by Muturaman and produced by K. Balachander. He acted in his first cameo role in the film Anbulla Rajinikanth. He played a triple role in John Jani Janardhan. His performance in Nallavanuku Nallavan earned him a Filmfare Best Tamil Actor Award. In his 100th film Sri Raghavendra (1985), he played the Hindu saint Raghavendra Swami. His greatest success in Hindi films was his 101st film Bewafai. Released in 1985 with Rajesh Khanna as the lead hero and Rajinikanth as villain, it became a success and grossed Rs 11.95 crore at the box office that year. In the second half of the 1980s, Rajinikanth acted in commercially successful films such as Naan Sigappu Manithan (1985), Padikkathavan (1985), Mr. Bharath (1986), Velaikaran (1987), Guru Sishyan (1988) and Dharmathin Thalaivan (1988). In 1988, he made his only American film appearance in Bloodstone, directed by Dwight Little, in which he played an English-speaking Indian taxi driver. Rajinikanth finished the decade with films including Rajadhi Raja, Siva, Raja Chinna Roja and Mappillai while also starring in a few Bollywood productions. Raja Chinna Roja was the first Indian film to feature live action and animation. By the 1990s, Rajinikanth established himself as a commercial entertainer. Almost all the films released during this period were highly successful at the box office. He began the decade with a blockbuster in Panakkaran (1990), which was a remake of Amitabh Bachchan's 1981 film Laawaris. His next two Tamil films, the fantasy comedy Athisaya Piravi, (a remake of Chiranjeevi's 1988 film Yamudiki Mogudu) which also released in 1990 and the family drama Dharmadorai (1991), did above-average business at the box office. His stint with Bollywood continued since the past decade as he went on to star in more Hindi films. Hum released in 1991 saw him doing the second main lead with Amitabh Bachchan became an inspiration for Badsha. In 1991, he worked with Mani Ratnam in Thalapathi, which was heavily inspired by the Mahabharata. in which he co-starred with actor Mammooty; the film dealt with the friendship between two unknown characters based on Karna and Duryodhana, respectively, and was set in a more contemporary milieu and was both critically acclaimed and successful upon release. He went on to appear in remakes of films from other languages, mostly from Hindi and Telugu. Annamalai, which released in 1992, was yet another friendship-centric film and was loosely based on the 1987 Bollywood film Khudgarz. Mannan, directed by P. Vasu, a remake of Kannada actor Rajkumar's 1986 blockbuster Anuraga Aralithu, also was released in 1992 and became a box office success. Rajinikanth wrote his first screenplay for the film Valli (1993), in which he also made a special appearance. He also starred in the film Yejaman, in which he played the role of Vaanavaraayan, a village chieftain. His romantic-comedy Veera (1994) was controversial for its climax but went on to become one of the highest-grossing films in 1994. He joined hands with Suresh Krishna for Baashha (1995), which emerged as an industry record, and is routinely touted by fans and critics alike as a major-hit, as the film elevated him from being just another very popular actor to nearly demigod status among the masses. He made a cameo in Peddarayudu for his friend Mohan Babu and also helped him in obtaining the remake rights. The same year, he acted in yet another gangster film, Aatank Hi Aatank with Aamir Khan which was also his last Hindi film in a major role till date. His film Muthu, a remake of Mohanlal's blockbuster Malayalam movie Thenmavin Kombathu, was another commercial success, directed by K. S. Ravikumar and produced by K. Balachander, and became the first Tamil film to be dubbed into Japanese, as Mutu: Odoru Maharaja. The film grossed a record US$1.6 million in Japan in 1998 and was responsible for creating a large Japanese fan-base for the actor. Muthu's success in Japan led American news magazine Newsweek to comment in a 1999 article that Rajinikanth had "supplanted Leonardo DiCaprio as Japan's trendiest heartthrob". During a visit to Japan in 2006, Indian Prime Minister Manmohan Singh acknowledged the success of Muthu in the country during a speech, justifying the positive relationship between the two nations. He also entered Bengali cinema through Bhagya Debata, which was released at the end of 1995. 1997's Arunachalam was another commercial success. Rajinikanth released his last film of the millennium with Padayappa (1999), which went on to become a blockbuster success. It starred Ramya Krishnan and Soundarya, the former critically acclaimed for her performance. It was also the last prominent role for veteran Tamil actor Sivaji Ganesan. After a brief pause, Rajinikanth starred in Baba in 2002, for which he had also written the screenplay. Released with much fanfare and hype at the time, the film featured a story revolving around the reforming of a gangster, later revealed to be the reincarnation of the Hindu saint Mahavatar Babaji, and fights against political corruption. It fell short of market expectations and the high bids reportedly translated to heavy losses for the distributors. Rajinikanth himself repaid the losses incurred by the distributors. The film was received with comments such as "the bloom was off the rose" and that "the gold does not glitter any more". Pattali Makkal Katchi (PMK) leader S. Ramadoss condemned him for smoking and posing with beedis in the film. He was criticised for spoiling the Tamil youth by glorifying smoking and drinking. PMK volunteers attacked the theatres which screened the film and usurped film rolls and burned them. Two years later, Rajinikanth signed up for P. Vasu's Chandramukhi (2005), a remake of the Malayalam film Manichitrathazhu. Upon release the film was highly successful at the box office, and in 2007 it set the record of being the longest running Tamil film. Chandramukhi was also dubbed in Turkish and in German as Der Geisterjäger and released in the respective nations. Following Chandramukhi's release, it was reported that AVM Productions was set to produce a film directed by Shankar starring Rajinikanth — the largest collaboration yet for a Tamil film. The film was titled Sivaji and was released in the summer of 2007, following two years of filming and production. It became the first Tamil film to be charted as one of the "top-ten best films" of the United Kingdom and South Africa box offices upon release. Rajinikanth received a salary of ₹26 crore (equivalent to ₹56 crore or US$7.8 million in 2017), for his role in the film, which made him the second highest-paid actor in Asia after Jackie Chan. During the production of Sivaji, Soundarya Rajinikanth announced her intention of producing a computer-generated imagery film starring an animated version of her father titled Sultan: The Warrior. The film was set for release in 2008, however, it entered development hell, and its development status would become unknown over the next few years. "Is there anything left to be said about a man who, at 61, still manages to star in one of the most successful films of the year, not just in the south, but across India? Superstar Rajni once again proved that he is the actor with the Midas touch with the sci-fi flick Endhiran, where he played an ambitious scientist, a naive robot and an evil android bent on destroying the world [...] He did it with such aplomb that he's been the talk of the town for months. He might do one film in two years, but when he does, he pulls out all the stops." He worked with P. Vasu again for Kuselan, a remake of the Malayalam film Kadha Parayumbol, which was made simultaneously in Telugu as Kathanayakudu, in which Rajinikanth played an extended cameo role as himself, a film star in the Indian cinema, and as a best friend to the film's protagonist. According to Rajinikanth, the film somewhat narrated his early life. The film, however, performed poorly at box offices and led to many distributors incurring major losses. Rajinikanth also stated that he would work with Pyramid Saimira again to compensate for Kuselan. Rajinikanth worked again with Shankar for the science fiction film Enthiran. The film was released worldwide in 2010 as the most expensive Indian film ever made, ultimately becoming the second highest-grossing film in India of its time. Rajinikanth was paid a remuneration of ₹45 crore (equivalent to ₹72 crore or US$10 million in 2017) for the film. The film's success lead to the Indian Institute of Management Ahmedabad to use the film as a case study to analyse the business of cinema and its success story in a post-graduate elective management course called Contemporary Film Industry: A Business Perspective. The course would also study Muthu. In January 2011, Rajinikanth was slated to appear in Rana, a period film to be produced by Soundarya Rajinikanth and directed by K. S. Ravikumar, who would work with the actor for a third time. During the principal photography of the film on 29 April 2011, he suffered a mild foodborne illness on the sets, which led to vomiting, dehydration, and exhaustion. He was treated at St. Isabel's Hospital for a day before being discharged. Five days later, he was rushed to the same hospital again after suffering from breathlessness and fever. He was diagnosed with bronchitis and was kept at the hospital for a week, while also spending a few days in an intensive care unit. Several conflicting reports of discharge dates arose, as well as claims of Rajinikanth's health deteriorating. Two days after his last discharge, Rajinikanth was admitted to the Sri Ramachandra Medical College and Research Institute on 16 May 2011 for recurring respiratory and gastrointestinal problems. The hospital maintained that Rajinikanth was in stable condition and showed positive response to treatment. It was widely reported that he required a kidney transplantation, which was later denied by Dhanush. On 21 May 2011, Aishwarya Rajinikanth released a photo of her and Rajinikanth in his hospital ward, both posing with a thumbs signal, responding to fans' negative reaction to news reports. The hospital restricted unauthorised visitors. Rajinikanth's brother, Sathyanarayana Rao Gaekwad, reported that the cause of the sudden illness was due to stress from rapid weight-loss and changes in diet, as well as withdrawal of alcohol consumption and smoking cessation. 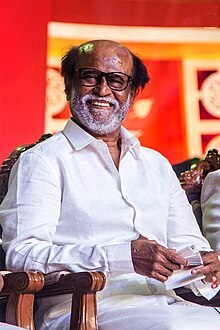 After addressing fans in a 4-minute digitally recorded voice message to the media, Rajinikanth, under the advice of Amitabh Bachchan, travelled from Chennai to Singapore with his family on 21 May 2011, where he was to undergo further treatment for nephropathy at Mount Elizabeth Hospital. After spending over two weeks at the hospital, he was finally discharged on 15 June 2011 and continued to recuperate in Singapore, before returning to Chennai on 13 July 2011. Despite several failed attempts to restart Rana upon his return, Rajinikanth reprised his Enthiran character, Chitti, in the Bollywood science-fiction film Ra.One (2011) in a guest appearance alongside Shah Rukh Khan and Kareena Kapoor. In November 2011, it was decided that Rana would be shelved in favour of a new project with Rajinikanth, titled Kochadaiiyaan. The motion capture film, which is the first of its kind in India, was released in 2014 to positive reviews. Kochadaiiyaan, and the 3D release of Sivaji in 2012, made Rajinikanth the first Indian actor to have appeared in four different forms of world cinema: black-and-white, colour, 3D and motion capture. Following the completion of Kochadaiiyaan, Rajinikanth began work in Ravikumar's next directorial venture, titled Lingaa alongside Anushka Shetty and Sonakshi Sinha. The film was released on 12 December 2014, coinciding with his birthday, and received mixed reviews from critics. Rajinikanth's next film was director Pa. Ranjith's crime drama Kabali, produced by S. Thanu. The film was released in July 2016. Rajinikanth is filming for 2.0, a spiritual successor to Enthiran, that is under production since 2015 with no definite release date announced. In August 2016, it was announced that Rajinikanth and Ranjith would work together again for a film with Dhanush as producer, titled as Kaala, in which Rajinikanth plays a Dharavi-dwelling gangster who fights against corporate takeover of the slum. The film officially released on 7 June 2018. Rajinikanth upcoming film S. Shankar's 2.0 reprising the roles of Dr. Vaseegaran and Chitti, alongside Akshay Kumar and Amy Jackson. It is the spiritual successor to the 2010 Tamil film Enthiran and it the most expensive Indian film made to date. In 2019, Rajinikanth starred in Karthik Subbaraj's Petta, in which his performance received praise for his return to his vintage stereotypical style of acting. The combined gross earnings of Kaala, 2.0 and Petta by the end of January 2019 was determined to be over ₹1000 crore according to trade analysts. In 1995, Rajinikanth began supporting the Indian National Congress after meeting Prime Minister P. V. Narasimha Rao. An opinion poll conducted by the magazine Kumudam predicted that Congress, with Rajinikanth's support, might win up to 130 seats in the Tamil Nadu Assembly. In 1996, when the Congress Party decided to align with All India Anna Dravida Munnetra Kazhagam (AIADMK) for the assembly election in Tamil Nadu, Rajinikanth changed loyalties and supported the Dravida Munnetra Kazhagam (DMK)-Tamil Maanila Congress (TMC) alliance. The TMC used a bicycle as their election symbol and used an image of Rajinikanth riding a bicycle from the film Annamalai in their posters. Rajinikanth said: "Even God cannot save Tamil Nadu if AIADMK returns to power." Rajinikanth wholeheartedly supported the DMK and TMC alliance and asked the people of Tamil Nadu and his fans to vote for that alliance. This alliance had a complete victory in 1996. Rajinikanth also supported the DMK-TMC alliance in the parliamentary election, held the same year. Later in 2004, Rajinikanth said he would personally vote for the Bharatiya Janata Party (BJP) but would not extend his support to any front during the upcoming Indian general election. The party, however, failed to win any seats in Tamil Nadu in the Lok Sabha. Critics, such as Cho Ramaswamy, have commented that Rajinikanth has the potential to be successful in Indian politics due to his popularity and fan base alone. Since Rajinikanth's influence in the 1996 election, many of his fans in Tamil Nadu called for his entry in politics, particularly for him to contest for Chief Minister of the state. Rajinikanth announced entry into politics on 31 December 2017 and confirmed his intention to contest in the 2021 Tamil Nadu Legislative Assembly elections in all 234 constituencies. He stated that his party would resign if it was unable to fulfill its electoral promises within three years of coming into power. Rajinikanth is widely regarded as the most popular South Indian film actor. His popularity has been attributed to "his uniquely styled dialogues and idiosyncrasies in films, as well as his political statements and philanthropy". Many also cite reasons for Rajinikanth's popularity as coming from his larger-than-life super-hero appearance in many films, supported by gravity-defying stunts and charismatic expressions, all while attempting to maintain modesty in real-life. Almost every film of Rajinikanth has punchlines delivered by him in an inimitable style, and these punchlines often have a message or even warn the film's antagonists. These dialogues are usually fabricated to create new ones or even be taken in a comical way, but do not fail to create a sense of entertainment among viewers. It is suggested by the media that actresses such as Gouthami and Nayanthara got their initial breakthrough after co-starring with Rajinikanth very early in their careers, giving other aspiring actors the urge to work with him. Rajinikanth is also the only Indian actor to be featured in the Central Board of Secondary Education (CBSE) syllabus, in a lesson titled From Bus Conductor to Superstar. After opening his first official Twitter account in 2014, Rajinikanth received over 210,000 followers within 24 hours, which according to The Economic Times was deemed by social media research firms as the fastest rate of followers for any Indian celebrity, as well as among the top-10 in the world. In 2015, a film about his fandom, For the Love of a Man, premiered at the 71st Venice International Film Festival. In 2002, Rajinikanth undertook a day-long fast to protest the Government of Karnataka's decision to not release Kaveri River water into Tamil Nadu, and announced that he would contribute ₹10 million (US$140,000) toward a plan to interlink Indian rivers. He met with Indian Prime Minister Atal Bihari Vajpayee and many experts to canvass support for the project. His hunger strike was independent of the Nadigar Sangam, who organised their own solidarity protest for the same cause. Film director Bharathi Raja lashed out against Rajinikanth, alleging that he is dividing the film industry and saying that he was a "traitor who had a tacit understanding with the Karnataka government". In 2008, Rajinikanth took part in a hunger strike organised by the Nadigar Sangam against Karnataka's stance on the Hogenakkal Falls water dispute. In his speech, which was well received in Tamil Nadu, he warned leaders not to inflame the water project issue for political gains and requested that the issue should be resolved soon. He reprimanded politicians in Karnataka and urged them "to speak the truth" to the public. "They cannot be fooled and will not remain silent if you continue to act in such manner" he stated. The speech led to Vatal Nagaraj, leader of the Kannada nationalist group Kannada Chaluvali Vatal Paksha, demanding an apology from Rajinikanth and threatening that he and his films would be boycotted from the state of Karnataka. The threats were echoed by other pro-Kannada organisations, such as the Karnataka Rakshana Vedike. He later thanked the Kannada film industry for allowing the release of Kuselan and lifting the ban the industry had briefly imposed on it. This led to strong reactions from Nadigar Sangam members R. Sarathkumar, Sathyaraj and Radha Ravi, who called the apology a disgrace to Tamils and opined that his speech never provoked the sentiments of the Kannada people. Rajinikanth's support toward fellow actor Ajith Kumar, who in 2010 condemned the forceful inclusion of Tamil cinema personae in political affairs, broke into a controversy. In 2018, Rajinikanth received negative criticism and reactions after justifying police action during the Thoothukudi massacre. He said "anti-social elements" in the crowd had to be "dealt with an iron hand". Rajinikanth married Latha Rangachari, a student of Ethiraj College for Women who interviewed him for her college magazine. The marriage took place on 26 February 1981, in Tirupati, Andhra Pradesh. The couple has two daughters named Aishwarya Rajinikanth and Soundarya Rajinikanth. Latha runs a school named "The Ashram". Aishwarya married actor Dhanush on 18 November 2004 and they have two sons, Yathra and Linga. His younger daughter, Soundarya, works in the Tamil film industry as a director, producer and graphic designer. She married industrialist Ashwin Ramkumar on 3 September 2010 and have a son Ved Krishna. According to Naman Ramachandran, the author of Rajinikanth: The Definitive Biography, most of Rajinikanth's philanthropic activities went unpublicised because he did not want them to be so. In the 1980s, when superstitious beliefs prevented a majority of people from donating eyes, Rajinikanth took the case of campaigning in support of corneal transplantation via television and public speeches. In 2011, Rajinikanth announced his support for the anti-corruption movement led by Gandhian Anna Hazare and offered his commercial wedding venue, the Raghavendra Kalyana Mandapam, in Chennai free of cost for the India Against Corruption members to hold their fast. Rajinikanth's fan associations regularly organise blood donation and eye donation camps and distribute food during his birthday. Rajinikanth has received numerous awards for many of his films, mostly in Tamil. He received his first Filmfare Award for Best Tamil Actor in 1984 for Nallavanuku Nallavan. Later he received Filmfare Award nominations for his performances in Sivaji (2007) and Enthiran (2010). As of 2014, Rajinikanth has received six Tamil Nadu State Film Awards for his performances in various films. He also received numerous awards from Cinema Express and Filmfans' Association for his on-screen performances and off-screen contributions in writing and producing. Rajinikanth received the Kalaimamani award in 1984 and the M. G. R. Award in 1989, both from the Government of Tamil Nadu. In 1995, the South Indian Film Artistes' Association presented him with the Kalaichelvam Award. He was honoured with the Padma Bhushan (2000) and the Padma Vibhushan (2016) by the Government of India. He was selected as the Indian Entertainer of the Year for 2007 by NDTV, competing against the likes of Shahrukh Khan. The Government of Maharashtra honoured him with the Raj Kapoor Award the same year. He received the Chevalier Sivaji Ganesan Award for Excellence in Indian Cinema at the 4th Vijay Awards. Rajinikanth was also named one of the most influential persons in South Asia by Asiaweek. He was also named by Forbes India as the most influential Indian of the year 2010. In 2011, he was awarded the Entertainer of the Decade Award by NDTV for the year 2010 by the then Indian Minister for Home Affairs P. Chidambaram. In December 2013, he was honoured by NDTV as one among the "25 Greatest Global Living Legends". In 2014, he was presented with the "Centenary Award for Indian Film Personality of the Year" at the 45th International Film Festival of India held at Goa. ↑ While Naman Ramachandran's 2012 biography of Rajinikanth identifies his mother's name as Ramabai, journalist Ramachandra Rao, a childhood friend of the actor, said in 2012 that her name was Jijabai. 1 2 3 4 "How Shivaji became Rajinikanth". Rediff.com. Archived from the original on 6 October 2014. Retrieved 4 October 2014. ↑ "Rajinikanth gets Padma Vibhushan; Padma Shri for Priyanka, Ajay Devgn". The Indian Express. New Delhi. 26 January 2014. Archived from the original on 25 October 2016. Retrieved 8 December 2016. 1 2 3 4 5 Ramachandran 2012, chpt. Introduction. ↑ Ruma Singh (6 July 2007). "Even more acclaim will come his way". The Times of India. Archived from the original on 16 February 2012. Retrieved 20 April 2011. ↑ "Tracing 'Kabali's' Rajinikanth & his link to Shivaji". The Economic Times. 22 July 2016. Archived from the original on 11 April 2017. Retrieved 11 April 2017. ↑ "Rajinikanth invited for Saswad literary meeting". Daily News and Analysis. 31 December 2013. Archived from the original on 23 January 2014. Retrieved 5 February 2014. ↑ "Rajini creates drinking water facility in his parents' memory". 28 April 2009 – via www.thehindu.com. ↑ "Biographical article about Superstar Rajini Kanth". www.tamilstar.com. Tamil Star Inc. Archived from the original on 6 October 2014. Retrieved 4 October 2014. ↑ S, Anandan (6 January 2013). "Reel to real image, a tome". The Hindu. Archived from the original on 28 June 2013. Retrieved 22 February 2013. ↑ "Rajini's friends to renovate primary school". Sify. 13 December 2010. Archived from the original on 5 December 2013. Retrieved 9 July 2011. 1 2 Ramachandran 2012, chpt. 1. 1 2 Lakhe, Manisha (27 September 2010). "Why Rajinikanth Rocks". Forbes. Archived from the original on 27 March 2015. Retrieved 9 April 2011. ↑ "1. Struggle is a stepping stone". Rediff.com. 12 December 2012. Archived from the original on 4 February 2014. Retrieved 5 February 2014. ↑ M. D, Riti (22 December 1999). "You can see God in him at times". Rediff.com. Archived from the original on 6 October 2014. Retrieved 14 June 2011. 1 2 "திரைப்படக் கல்லூரியில் 2 ஆண்டு நடிப்பு பயிற்சி". Maalai Malar (in Tamil). 2 February 2009. Retrieved 6 February 2014. ↑ K. V. Subramanya (16 June 2007). "He drove Rajnikant to stardom". The Hindu. Chennai, India. Archived from the original on 7 November 2010. Retrieved 4 November 2010. ↑ "Meet the bus driver Rajni worked with". Rediff.com. 13 June 2007. Archived from the original on 6 November 2014. Retrieved 9 September 2010. ↑ N.S., Ramnath; D'Souza, Nilofer (22 December 2010). "Rajinikanth: Who Really Is the Super Star? (Anand iya Vaalka)". Forbes. Archived from the original on 18 April 2015. Retrieved 22 February 2013. ↑ Hindu 2012, p. 12. 1 2 Sathyalaya Ramakrishnan (13 December 2010). "Super Star Rajnikanth turns 61: Fans celebrates enthusiastically". Asian Tribune. Archived from the original on 15 December 2010. Retrieved 18 June 2011. ↑ Ramachandran, Naman (5 January 2014). "The other Rajinikanth". The Pioneer. Archived from the original on 18 April 2015. Retrieved 5 February 2014. ↑ C Raja Mohan (12 December 2010). "Fans celebrate Rajinikanth's 61st birthday". The Indian Express. Archived from the original on 20 January 2011. Retrieved 23 April 2011. ↑ "Experiments in Tamil cinema — Apoorva Raagangal (1975)". The Times of India. Archived from the original on 9 May 2015. Retrieved 5 February 2014. ↑ "23rd National Film Awards" (PDF). Directorate of Film Festivals. Archived from the original (PDF) on 26 May 2011. Retrieved 23 April 2011. ↑ Hindu 2012, p. 67. ↑ "Blast from the past: Naagarahaavu- 1972". The Hindu. 18 October 2008. Archived from the original on 10 November 2012. Retrieved 5 February 2014. 1 2 3 4 5 Ramachandran 2012, chpt. 3. 1 2 Ramachandran 2012, chpt. 4. ↑ Chamikutty, Preethi (19 December 2012). "Mirinda advertisement: Can Asin match the charisma of Rajinikanth, Sridevi and Kamal Hassan". The Economic Times. Retrieved 7 February 2014. ↑ Malathi Rangarajan (10 April 2011). "We will miss you, Sujatha". The Hindu. Chennai, India. Archived from the original on 10 August 2011. Retrieved 23 April 2011. ↑ "Return of Rajinikanth". The Hindustan Times. 22 February 2012. Archived from the original on 5 February 2014. Retrieved 5 February 2014. ↑ "Success has humble beginnings". Rediff.com. 12 December 2012. Archived from the original on 25 February 2013. Retrieved 24 February 2013. ↑ Srinivasan, Meera (4 September 2010). "Fusion of culture at celebrity wedding". The Hindu. Archived from the original on 20 October 2011. Retrieved 22 February 2013. 1 2 3 4 5 Rajitha (22 December 1999). "Rajini acts in front of the camera, never behind it". Rediff.com. Archived from the original on 7 January 2017. Retrieved 14 June 2011. ↑ Ramachandran 2012, chpt. 5. ↑ Sreekanth 2008, p. 370. ↑ Sreekanth 2008, pp. 369–370. ↑ "40 years of Superstar Rajinikanth: His top movies". India TV. 19 August 2015. Archived from the original on 3 July 2015. 1 2 3 4 5 6 Ramachandran 2012, chap. 6. ↑ "சூப்பர் ஸ்டார் பட்டம் எனக்கு வேண்டாம்! : ஏற்க மறுத்தார், ரஜினிகாந்த்!". Maalai Malar (in Tamil). 28 October 2012. Archived from the original on 18 March 2013. Retrieved 12 February 2014. ↑ D. Karthikeyan (13 December 2009). "A phenomenon called Rajnikanth". The Hindu. Archived from the original on 15 October 2013. Retrieved 22 February 2013. ↑ "Amitabh is my inspiration, says Rajini". The Hindu. 15 August 2010. 1 2 "Revisiting Prakash Mehra's Zanjeer: The film that made Amitabh Bachchan". The Indian Express. 20 June 2017. 1 2 Jha, Lata (18 July 2016). "10 Rajinikanth films that were remakes of Amitabh Bachchan starrers". Mint. 1 2 "What do Amitabh Bachchan and Rajinikanth have in common?". Catch News. 23 July 2016. 1 2 Girija Jinnaa (15 June 2007). "'Yesterday I was a conductor, today I'm a star'". The Indian Express. Archived from the original on 17 June 2007. Retrieved 4 January 2011. ↑ "Rajanikant: His name spells box-office magic in the south". India Today. 31 July 1988. ↑ "Return of Rajinikanth". The Hindustan Times. 22 February 2012. Archived from the original on 10 February 2014. Retrieved 10 February 2014. ↑ "10 Rajinikanth films that were remakes of Amitabh Bachchan starrers". Archived from the original on 19 July 2016. 1 2 Srinivasan, Meera (29 January 2011). "Raana Rajini's next venture". The Hindu. Archived from the original on 10 November 2012. Retrieved 24 February 2013. 1 2 "The Rajini mystique". The Hindu. 2 July 2011. Archived from the original on 25 December 2014. Retrieved 6 July 2011. ↑ "Top Earners 1980–1989 (Figures in Ind Rs)". Box Office India. Archived from the original on 14 October 2013. Retrieved 22 February 2013. ↑ "Only Rajini can". The Economic Times. 10 December 2006. Archived from the original on 19 October 2012. Retrieved 21 February 2011. 1 2 Collections. Update Video Publication. 1991. p. 394. Archived from the original on 3 December 2013. 1 2 K. Hariharan (24 October 2010). "Magazine : He's back". The Hindu. Archived from the original on 28 October 2010. Retrieved 23 April 2011. ↑ "PHOTOS: Rajinikanth's tryst with Bollywood: Hum, Andha Kanoon, Chaalbaaz | The Indian Express". indianexpress.com. Archived from the original on 27 June 2014. Retrieved 28 June 2014. ↑ Weldon, Michael (1996). The Psychotronic Video Guide. Titan Books. p. 66. ISBN 978-1-85286-770-6. Archived from the original on 3 December 2013. Retrieved 22 February 2013. ↑ Ramachandran 2012, p. 127. ↑ S.R. Ashok Kumar (14 May 2004). "Finger on people's pulse". The Hindu. Archived from the original on 21 February 2015. Retrieved 28 April 2011. ↑ "It's India-Japan Friendship Year". The Hindu (in Tamil). Chennai, India. 15 December 2006. Archived from the original on 20 May 2007. Retrieved 20 April 2007. 1 2 "Looking at Mani Ratnam's landmark movies – Rediff.com Movies". Rediff.com. 9 June 2010. Archived from the original on 6 October 2014. Retrieved 30 May 2011. ↑ "Tamil superstar Rajnikant turns 60, fans celebrate". The Indian Express. 12 December 2009. Archived from the original on 26 March 2010. Retrieved 23 April 2011. ↑ Megha Shenoy (4 April 2011). "Inspiration for remakes". The Deccan Herald. Archived from the original on 21 October 2012. Retrieved 26 February 2013. ↑ "Working with Rajinikanth: Baasha director tells all". Rediff.com. 12 December 2012. Archived from the original on 8 February 2013. Retrieved 26 February 2013. ↑ Pillai, Sreedhar (17 February 2009). "Rajinikanth: Old is gold". The Times of India. Archived from the original on 14 January 2016. Retrieved 9 October 2013. ↑ "Happy birthday, Rajinikanth!". Mid Day. Archived from the original on 14 October 2013. Retrieved 9 October 2013. ↑ S Saroj Kumar (4 January 2012). "Brand Rajinikanth". The Financial Express. Archived from the original on 6 October 2014. Retrieved 9 October 2013. ↑ "Dancing Maharajas". Archived 25 November 2010 at the Wayback Machine Newsweek. 10 May 1999. ↑ Prem Panicker (14 December 2006). "When the PM wowed Japan's parliament". Rediff.com. Archived from the original on 5 August 2012. Retrieved 8 January 2012. 1 2 Rangarajan, Malathi (16 August 2002). "Baba". The Hindu. Archived from the original on 25 December 2014. Retrieved 24 February 2013. ↑ N Sathiya Moorthy (3 May 2003). "Film producer GV commits suicide". Rediff.com. Archived from the original on 7 January 2017. Retrieved 17 May 2007. ↑ Sudhish Kamath (12 May 2004). "Superstar wannabes". Chennai, India: The Hindu: Metro Plus. Archived from the original on 1 October 2007. Retrieved 17 May 2007. ↑ "Will Sivaji be Rajini's biggest hit?- History". Rediff.com. Archived from the original on 7 June 2007. Retrieved 6 May 2007. ↑ "Rajini keeps everyone guessing". 23 March 2004. Archived from the original on 9 March 2007. Retrieved 5 April 2007. ↑ "The Final Verdict – History". Sify. 8 May 2005. Archived from the original on 24 December 2014. Retrieved 24 February 2013. ↑ "Rajni's 'Chandramukhi' in Turkish and German". Oneindia.in. 2 April 2006. Archived from the original on 26 October 2014. Retrieved 7 June 2011. ↑ "United Kingdom Box Office June 15–17, 2007". Box Office Mojo. Archived from the original on 26 June 2007. Retrieved 18 June 2007. ↑ "South Africa Box Office August 3–5, 2007". Box Office Mojo. Archived from the original on 24 October 2007. Retrieved 8 June 2007. ↑ Sharma, Neha (29 September 2010). "Rapchik Rajinikanth, mind it!". The Hindustan Times. Archived from the original on 24 December 2014. Retrieved 9 October 2013. ↑ Varma, Anuradha (17 October 2010). "What makes Rajinikanth the Boss?". The Times of India. Retrieved 13 February 2014. ↑ Vilakudy, Rajaneesh (5 November 2006). "After Brangelina, it's Rajinikanth". Daily News and Analysis. Archived from the original on 14 October 2013. Retrieved 9 October 2013. ↑ "Rajinikanth's Sultan rechristened as Hara". OneIndia. 25 October 2010. Retrieved 27 March 2011. ↑ "Animated film on Rajnikant to be released in December 2008". The Economic Times. 13 December 2007. Retrieved 9 October 2013. ↑ Ramanujam, Srinivas (29 April 2012). "The day Rajini took ill". The Times of India. Retrieved 9 October 2013. ↑ "Rajinikanth in Endhiran". Rediff.com. 14 December 2010. Archived from the original on 27 May 2011. Retrieved 12 July 2011. ↑ P, Krishnakumar (1 August 2008). "Pasupathy, the real star of Kuselan". Rediff.com. Rediff. Archived from the original on 2 August 2011. Retrieved 12 June 2011. ↑ Pillai, Sreedhar (20 August 2008). "Kollywood in a flap". The Times of India. Retrieved 24 February 2013. ↑ Iyengar, Pushpa. "Hope Floats For SRK". The Outlook. Archived from the original on 28 October 2011. Retrieved 30 July 2011. ↑ S, Shyam Prasad (16 December 2008). "Kuselan may spark Tamil film boycott". Bangalore Mirror. Archived from the original on 24 May 2013. Retrieved 24 February 2013. ↑ Gupta, Shubhra (26 December 2010). "Chulbul Pandey Now Lives in Chennai". The Indian Express. Archived from the original on 11 February 2011. Retrieved 2 January 2012. ↑ "Is It True That Endhiran Will Gross Than Three Idiots?". Box Office India. Archived from the original on 6 October 2010. Retrieved 24 February 2013. ↑ "Rajini's Endhiran: A sell out in Chennai". NDTV. Archived from the original on 6 November 2012. Retrieved 26 September 2010. ↑ "Endhiran — The Robot Expected Lifetime Business". Box Office India. 1 November 2010. Archived from the original on 16 February 2013. Retrieved 4 January 2011. ↑ "Avatar technology powers Rajnikant in Enthiran". The Indian Express. 28 August 2010. Archived from the original on 24 November 2010. Retrieved 24 February 2013. ↑ "Rajinikanth's Enthiran – Case study in IIM A". Times of India. India. 23 December 2010. Retrieved 9 April 2011. ↑ "Rajinikanth admitted to hospital – Entertainment – DNA". Daily News and Analysis. 29 April 2011. Archived from the original on 18 August 2011. Retrieved 14 July 2011. ↑ "Rajinikanth hospitalised". Sify. Archived from the original on 11 August 2011. Retrieved 1 July 2011. ↑ ITGD Bureau (14 May 2011). "Actor Rajinikanth hospitalised again". India Today. Archived from the original on 14 October 2013. Retrieved 1 July 2011. ↑ "Rajini writes letter to fans, says he will be back soon". The Hindustan Times. 18 June 2011. Archived from the original on 21 June 2011. Retrieved 1 July 2011. 1 2 "Rajinikanth's Condition Stable: Hospital". NDTV. Archived from the original on 10 February 2014. Retrieved 1 July 2011. ↑ "Modi To Visit Rajini in Hospital". NDTV. Archived from the original on 16 December 2013. Retrieved 1 July 2011. ↑ "Rajini will soon be back to complete 'Raana': Dhanush". The Times of India. 1 June 2011. Retrieved 1 July 2011. ↑ "Rajinikanth out of ICU, moved into private ward – Times of India". The Times of India. 23 May 2011. Retrieved 1 July 2011. ↑ "Rajini getting better, say docs as fans pray for their superstar". The Times of India. 6 May 2011. Retrieved 1 July 2011. ↑ "Rajini suffering from lung, liver ailment: Brother". NDTV. 17 May 2011. Archived from the original on 20 May 2011. Retrieved 1 July 2011. ↑ "International news of the week". Business Standard. 4 June 2011. Archived from the original on 20 June 2013. Retrieved 17 February 2013. ↑ "Rajini in Singapore hospital on Big B's advice". Zee News. 30 May 2011. Archived from the original on 12 July 2011. Retrieved 14 July 2011. ↑ "Rajnikanth fine, recovering well: Dhanush". The Hindu. 31 May 2011. Archived from the original on 15 October 2013. Retrieved 9 October 2013. ↑ "Rajinikanth to return tonight". 14 July 2011. Archived from the original on 2 November 2013. Retrieved 9 October 2013. ↑ Rudrappa, Chetan (16 September 2011). "Rajinikanth's cameo RA.One". The Times of India. Retrieved 2 October 2011. ↑ "'Kochadaiiyaan' Review Roundup: Commendable Attempt by Soundarya; Worth Watching". International Business Times. 23 May 2014. Archived from the original on 7 January 2017. Retrieved 24 May 2014. ↑ "Movie Review: Rajinikanth's Sivaji 3D". IANS. NDTV. 11 December 2012. Archived from the original on 27 May 2014. Retrieved 14 April 2014. ↑ "Rajini 'Cannes'". Deccan Chronicle. 3 April 2013. Archived from the original on 10 March 2014. Retrieved 10 March 2014. ↑ "Sona presses the rewind button". Mumbai Mirror. 28 April 2014. Archived from the original on 1 October 2014. Retrieved 2 May 2014. ↑ "Superstar Rajinikanth's next is Lingaa". The Hindu. 29 April 2014. Archived from the original on 20 September 2014. Retrieved 2 May 2014. ↑ "'Lingaa' Stamped with 'U' Rating; Rajinikanth Starrer Confirmed for 12 December Release". International Business Times. 26 November 2014. Archived from the original on 20 February 2015. Retrieved 1 December 2014. ↑ "I take responsibility for the book scene in Lingaa: KS Ravikumar". The Times of India. 21 December 2014. Archived from the original on 25 December 2014. Retrieved 29 December 2014. ↑ "Kabali review round-up: This is what critics are saying about the Rajinikanth blockbuster". Daily News and Analysis. 22 July 2016. Archived from the original on 25 July 2016. Retrieved 25 July 2016. ↑ "Rajinikanth's 'Kabali' magic mesmerises Mumbai". The Indian Express. 22 July 2016. Archived from the original on 23 July 2016. Retrieved 25 July 2016. ↑ Rajinikanth-Ranjith combo under Dhanush's production soon Archived 30 August 2016 at the Wayback Machine. The Hindu (29 August 2016). Retrieved on 3 November 2016. ↑ "Akshay Kumar plays the villain in 'Robot 2'". The Times of India. ↑ Bureau, City. "2.0 is set to go where no Indian film has gone before". The Hindu. Retrieved 13 May 2017. ↑ "Rajnikanth's 2.0 vs Aamir Khan's Thugs Of Hindostan – There Could Be A Clash This Diwali!". BookMyShow. Retrieved 27 February 2018. ↑ "Tamil Cinema 1998-Year Highlights (Part-2)". Dinakaran. 21 January 1998. Archived from the original on 20 June 2008. Retrieved 23 September 2009. ↑ "'Rajnikanth is a firm believer in Hindutva'". Rediff. 28 April 2004. Archived from the original on 30 May 2013. Retrieved 12 June 2013. ↑ "AIADMK entering Parliament after five years". The Times of India. 17 May 2009. ↑ "Rajnimanth joins politics and announced a new party". NDTV. 31 December 2017. ↑ "Top 12 Rajinikanth jokes". The Times of India. 5 December 2013. Retrieved 5 February 2014. ↑ "Happy Birthday: A Look Inside Rajinikanth'S Luxury Home In Pune". Dainik Bhaskar. Archived from the original on 16 December 2013. Retrieved 5 February 2014. ↑ "Who rules South Cinema – Rajinikanth or Kamal Haasan?". Breakingnewsonline.net. 28 September 2010. Archived from the original on 23 July 2011. Retrieved 20 April 2011. ↑ Hendrix, Grady (27 September 2010). "SUPERSTAR Rajinikanth! : The biggest movie star you've probably never heard of. – By Grady Hendrix – Slate Magazine". Slate.com. Archived from the original on 15 March 2011. Retrieved 20 April 2011. ↑ "Rajini's Punch dialogues". thesouthreports.com. Archived from the original on 25 March 2011. Retrieved 12 April 2011. ↑ "It doesn't get bigger than Rajinikanth". Times of India. India. 18 April 2008. Retrieved 12 April 2011. ↑ S.R, Ashok Kumar (20 July 2007). "Determined to make a mark, again". The Hindu. Archived from the original on 15 October 2013. Retrieved 24 February 2013. ↑ Moviebuzz. "Ghajini was a big mistake!". Sify. Archived from the original on 2 October 2012. Retrieved 24 February 2013. ↑ "CBSE students to now study Rajinikanth's life story". The Times of India. 17 December 2012. Archived from the original on 2 May 2016. Retrieved 25 November 2015. ↑ Varuni, Khosla (7 May 2014). "Superstar Rajinikanth proves his might again, notches over 2.4 lakh followers on Twitter debut". The Economic Times. Archived from the original on 10 May 2014. Retrieved 10 June 2014. ↑ "Venice Review: 'For the Love of a Man' Portrays the Biggest Movie Star You've Never Heard Of". Indiewire. 5 September 2015. Archived from the original on 4 February 2016. Retrieved 5 February 2016. ↑ "Rediff India News: Rajinikanth fasts for Kaveri waters". Rediff.com. 13 October 2002. Archived from the original on 30 April 2009. Retrieved 23 September 2009. ↑ "Rediff India News:Rajinikanth to meet Indian PM". Rediff. 14 October 2002. Archived from the original on 30 April 2009. Retrieved 23 September 2009. ↑ "Rally exposes politicised film industry". 12 October 2002. Archived from the original on 2 November 2007. Retrieved 5 April 2007. ↑ "Rajnikanth blasts Karnataka over water project – Thaindian News". Thaindian.com. Archived from the original on 4 May 2009. Retrieved 23 September 2009. 1 2 "Karnataka groups demand apology". Sify. 5 April 2008. Archived from the original on 31 March 2014. Retrieved 23 September 2009. ↑ "Rajini earns the wrath of Tamil cinema". Behindwoods. Archived from the original on 10 April 2010. Retrieved 9 September 2010. ↑ "Karunanidhi against bringing politics into film world: The Hindu". Chennai, India: The Hindu. 7 February 2010. Archived from the original on 16 June 2010. Retrieved 18 October 2010. ↑ "Rajinikanth: Anger after actor justifies deadly police firing". Retrieved 2018-06-03. ↑ "Rajinikanth blames anti-social elements for Sterlite protest". ↑ "Superstar Rajinikanth apologises for losing cool at media interaction". Retrieved 2018-06-03. ↑ "Rajinikanth's speech earns him negative image on social media?". Retrieved 2018-06-03. ↑ Ramachandran 2012, chpt. The 1980s. ↑ "At 62: Rajinikanth on his marriage, Kamal and Sivaji". First Post. 12 December 2012. Archived from the original on 16 March 2014. Retrieved 5 February 2014. ↑ "Rajini's personal life". weeksupdate.com. Archived from the original on 15 July 2011. Retrieved 28 March 2011. ↑ "Dhanush's son named Linga – Tamil Movie News". IndiaGlitz. Archived from the original on 12 October 2010. Retrieved 6 October 2010. ↑ "Tamil Nadu / Chennai News : Rajnikanth turns grandfather". The Hindu. 12 October 2006. Archived from the original on 24 September 2009. Retrieved 10 April 2010. ↑ Gladwin Emanuel (4 September 2010). "Soundarya Rajinikanth's celeb-studded wedding". The Times of India. Retrieved 9 September 2010. ↑ "Rajnikanth is a firm believer in Hindutva". Rediff.com. 28 April 2004. Archived from the original on 30 May 2013. Retrieved 22 February 2013. ↑ "Andhra Pradesh / Anantapur News : Rajinikanth in Puttaparthi". The Hindu. 14 April 2008. Archived from the original on 3 November 2010. Retrieved 9 September 2010. ↑ Ramanujam, Srinivasa (21 August 2011). "Rajinikanth love Himalayas". The Times of India. Retrieved 24 February 2013. 1 2 "Why does Rajini dwell in the hearts of millions?". cinefundas.com. 1 June 2011. Archived from the original on 4 June 2011. Retrieved 15 June 2011. ↑ "Rajini blesses "Mahaan" actor". Indiaglitz.com. 22 September 2010. Archived from the original on 18 November 2010. Retrieved 15 June 2011. ↑ "Rajini's tribute to Babaji". Indiaglitz.com. 10 May 2008. Archived from the original on 23 October 2012. Retrieved 15 June 2011. ↑ "Actor Rajinikanth supports Anna Hazare". The Times of India. 23 August 2011. ↑ "Rajinikanth lends wedding hall for anti-corruption fast: Team Anna". Daily News and Analysis. 26 December 2011. Archived from the original on 2 November 2012. Retrieved 24 February 2013. ↑ "Rajinikanth has a quiet birthday". 12 December 2013. Archived from the original on 8 May 2014. Retrieved 12 December 2013. 1 2 Ramachandran 2012, chpt. Awards. ↑ "Rajnikanth". Koimoi. Archived from the original on 31 December 2013. Retrieved 13 February 2014. ↑ "Civilian Awards announced on 26 January 2000" (in Tamil). Ministry of Home Affairs (India). Archived from the original on 2 March 2007. Retrieved 20 April 2007. ↑ "Padma Vibhushan for Rajinikanth, Dhirubhai Ambani, Jagmohan". The Hindu. 25 January 2016. Archived from the original on 25 January 2016. Retrieved 25 January 2016. ↑ "Indian Entertainer of the year". itimes.com. Archived from the original on 7 October 2011. Retrieved 28 March 2011. ↑ "Air supply". The Hindu. 18 June 2010. Archived from the original on 15 October 2013. Retrieved 24 February 2013. ↑ Ethiraj, Gopal (14 December 2009). "Rajini is simple, stylish, spiritual, that explains his uniqueness". Asian Tribune. Archived from the original on 15 December 2009. Retrieved 14 December 2009. ↑ Buncombe, Andrew (3 October 2010). "Meet India's biggest film star". The Independent. London. Archived from the original on 22 January 2015. Retrieved 3 October 2010. ↑ "Now, a film on Rajinikanth's life". The Times of India. 4 May 2011. Retrieved 4 May 2011. ↑ "Rajinikanth is the Entertainer of the decade". Sify. 31 May 2010. Archived from the original on 19 February 2011. Retrieved 9 September 2010. ↑ "Rajinikanth conferred Centenary Award at IFFI". The Hindu. 20 November 2014. Archived from the original on 28 November 2014. Retrieved 20 November 2014. ↑ "IFFI 2014: Stalwarts Amitabh Bachchan, Rajinikanth in opening act". Daily News and Analysis. 20 November 2014. Archived from the original on 22 November 2014. Retrieved 20 November 2014. Ramachandran, Naman (2012). Rajinikanth: The Definitive Biography. Penguin Books Limited. p. 244. ISBN 978-81-8475-796-5. Sreekanth, Gayathri (2008). The Name is Rajinikanth. Om Books International. ISBN 978-81-291-1355-9. Rajinikanth 12.12.12: A Birthday Special. Kasturi & Sons Ltd. 2012. GGKEY:A78L0XB1B0X. Krishnamoorthy, Raja (2012). Rajini's Punchtantra: Business and Life Management the Rajinikanth Way. Rupa & Co. p. 124. ISBN 9788129119995. Ramakrishnan, Ram N (2012). Grand Brand Rajini: Brand Management the Rajinikanth Way. Rupa Publications India. p. 149. ISBN 9788129120595. A.N.Prahlada Rao, ANP (2013). Nanna Daari Vibhinna Daari: Rajanikanth Kannada. Nava Bharat Publication Bangalore. p. 120.